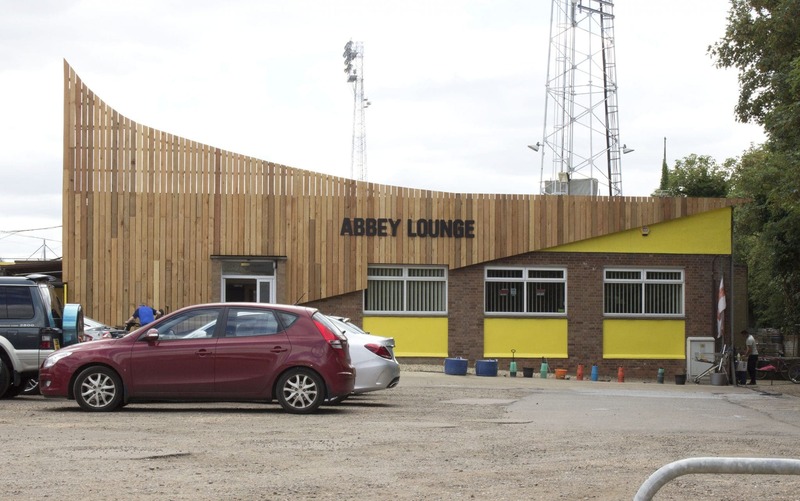 A transformational interim public art project for Cambridge United FC and the Abbey Lounge Supporters Club. 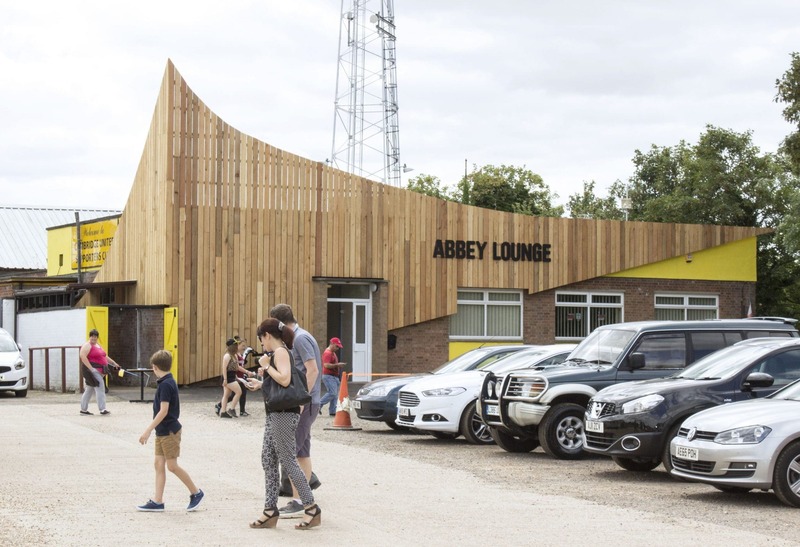 The site is located behind the North stand of the proposed Cambridge Community Stadium development. 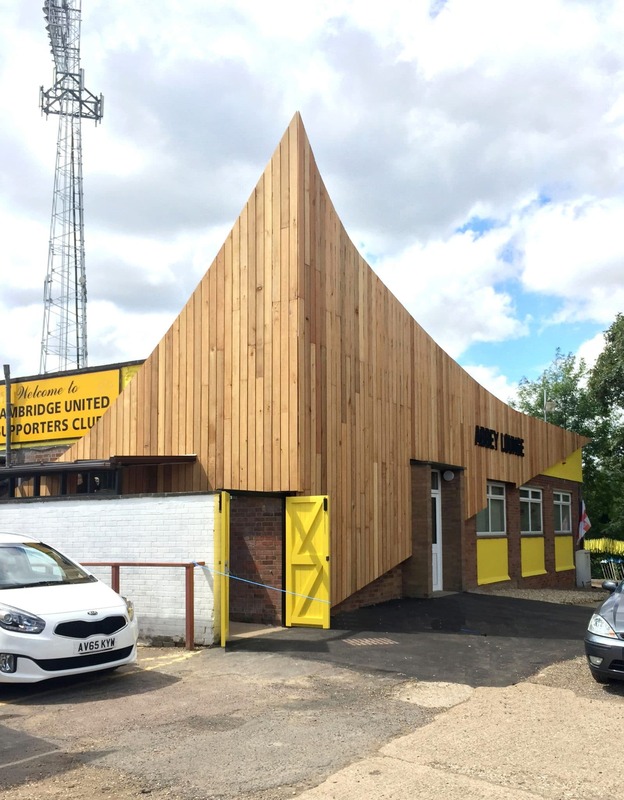 As the nature of activities that take place here evolves, our brief was to encourage people to use and think about the location in a different way, encouraging a new audience of people beyond the existing match day supporters to visit the Supporters Club, helping to both increase revenue opportunities through sales and events and position the location as a revived destination within the wider community. The existing frontage was in need of a renovation. Inspired by US freeway/strip architecture such as that found at the iconic BEST Products Stores, the design uses a supergraphic cedar rainscreen ‘billboard wrap’ to form a skin over the existing building. A relatively inexpensive way to transform the appearance of the entire structure. 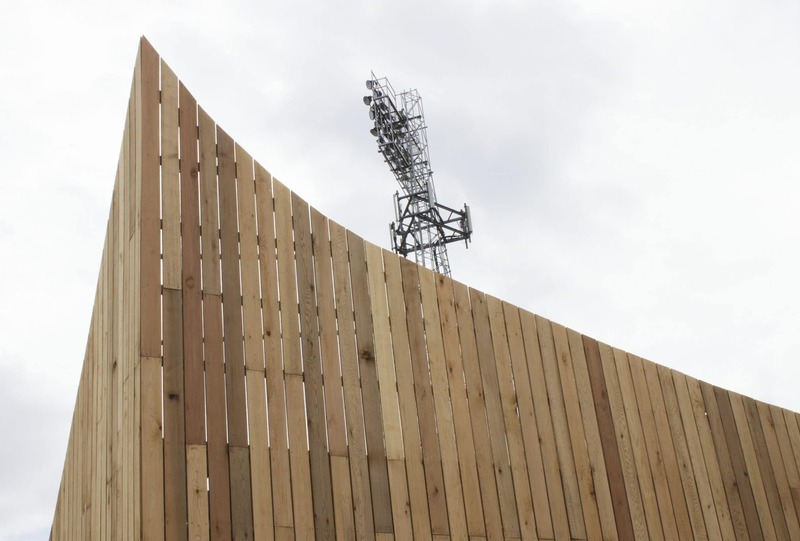 This wrap conceals half of the old frontage, leaving the other half exposed, signifying the halfway point the site has reached in terms of its development. A graphic swoosh descends from 3m above the existing roof line, from the corner nearest to the ticket gates, creating a dynamic perspectival visual impact. 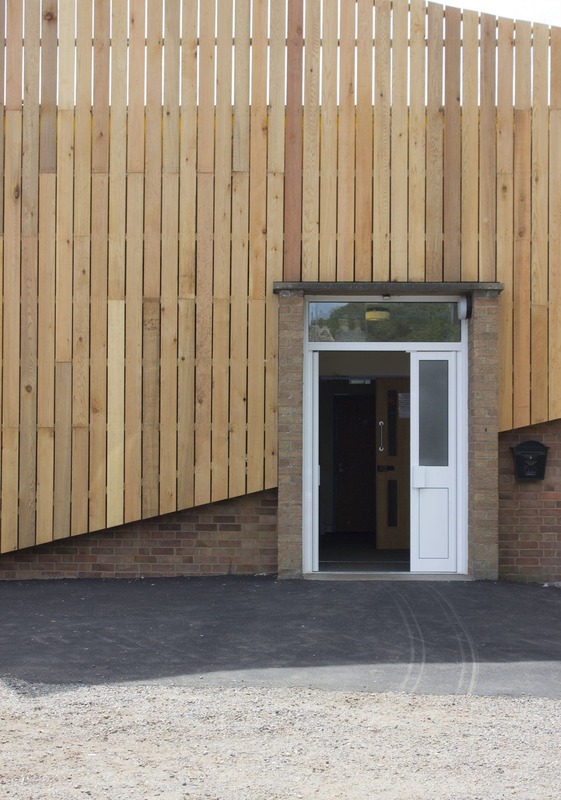 Alongside the timber cladding, improvements were made to the entrance doors and relocated smoking shelter. 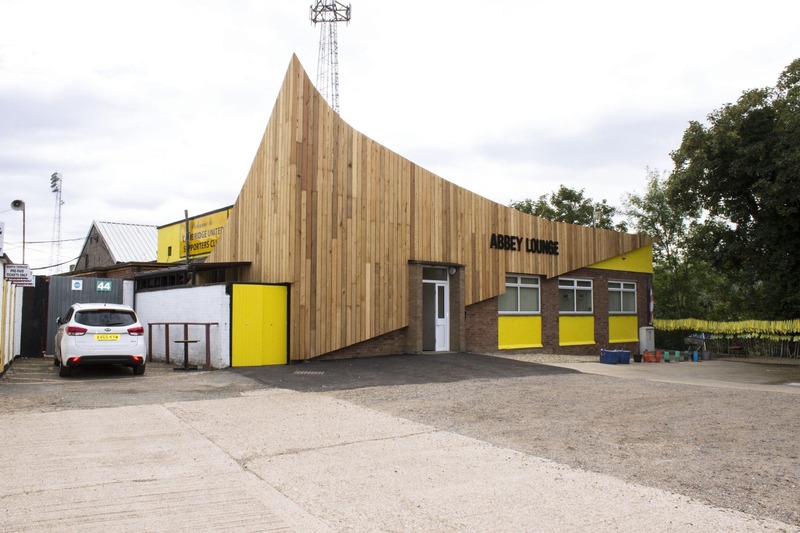 Planning permission was granted in 2015 and a local contractor RG Carter appointed to deliver the build, taking the project from inception to completion within 3 weeks. Visiting the pre season ‘meet the players’ day event held at the Stadium on the 24th July 2016, the new frontage was a definite talking point. With one fan nicknaming it the ski slope!